The Mavic Air Is Super Small, But It Could Be Smaller. 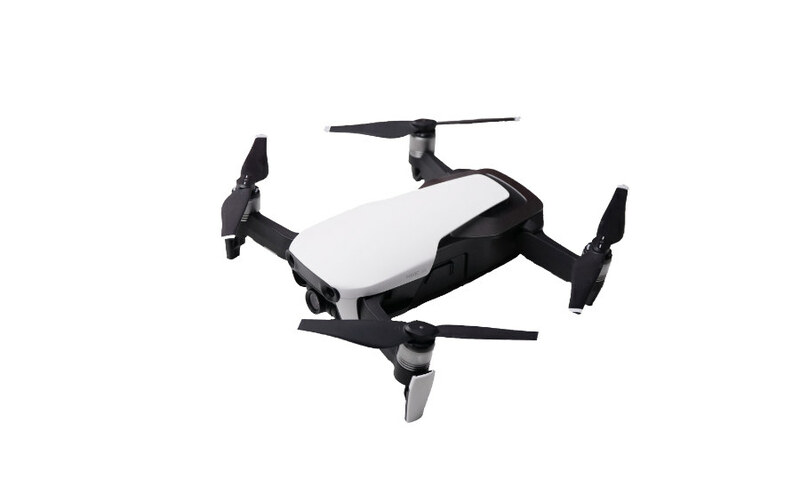 Today, DJI has released the Mavic Air to consumers and it appears to be flying off the digital shelfs of the internet. There’s a lot of hype around the Mavic Air right now and tons of different reviews have been flooding into peoples news feeds, but there’s one detail that many people including reviewers have overlooked. I’m talking about the design (or should I say lack of a design) for the propellers on the Mavic Air. They put a massive amount of effort into the design of the Mavic Air, but then gave it non-foldable propellers. For me, this is probably the most annoying and confusing thing about this drone that I’ve discovered so far. If this was a Phantom 4 Pro or inspire 2, I would completely understand why they would make them fixed. After all, a fixed propeller will be more efficient and easier to produce. They are also usually more durable. However, this is not a Phantom. This isn’t even a Mavic in my opinion. It’s closer to the size of a Spark (a cheaper drone that DJI makes with foldable propellers). I’ve had the Mavic Air long enough to take it on a trip or two, throw it in some backpacks, and shove it into my pockets. What I found is that the Mavic Air can fit almost anywhere, but the propellers are so bulky that they stick out and poke the lining of pockets and bags. When it’s in really tight spaces, this makes it really hard to pull out fast without possibly bending the blades. 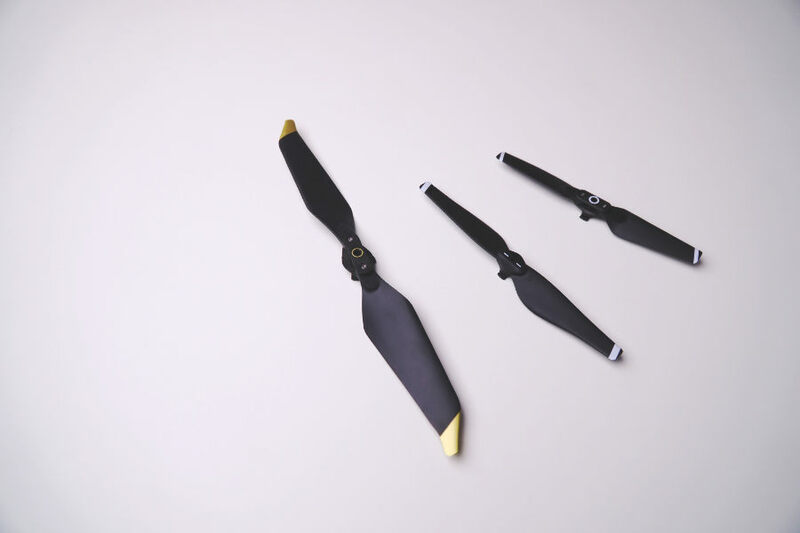 Other than Batteries and ND filters, folding propellers are one of the first things I would buy for my Mavic Air if I didn’t already have them. 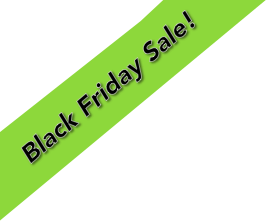 That’s right, you might already have folding Mavic Air propellers! When I Received the Mavic Air, the first thing I did was try to install the DJI Spark propellers. To my surprise, it actually worked! Once they were on, I fell in love with them. If you want your own folding Mavic Air props, go pick some up in the DJI Store. Besides the fact that these props make the Mavic Air smaller, there are a few other benefits. One cool benefit with these props is that you don’t have to fold the arms in a specific sequence. If you want to unfold the front arms first, you can do that. Unfortunately, the Propellers for the Spark are slightly smaller than the props that come with the Mavic Air which means you will lose some flight time, but the difference is smaller than you would think. I did a hover test down to 5% battery power and with the original props, I got 18 minutes. With the Spark propellers, I got an impressive 17 minutes! That’s 5 minutes more than the Spark which I also tested. Another concern I had was the max Speed, so I went out and tested that too. In Sport mode, I was able to reach 41mph with no problem. The only other thing that I noticed is that the motors seem a bit more twitchy when you liftoff, but it’s a very minor issue. After flying, there’s no difference in the temperature of the motors or the battery when using Spark props. So should you try this? In my opinion yes, There’s not a large enough difference in the two props to make a difference in flight time and performance, and since props are super cheap, you can’t go wrong. If you wan’t to see more Mavic Air posts, click the Learn more button in the sidebar.